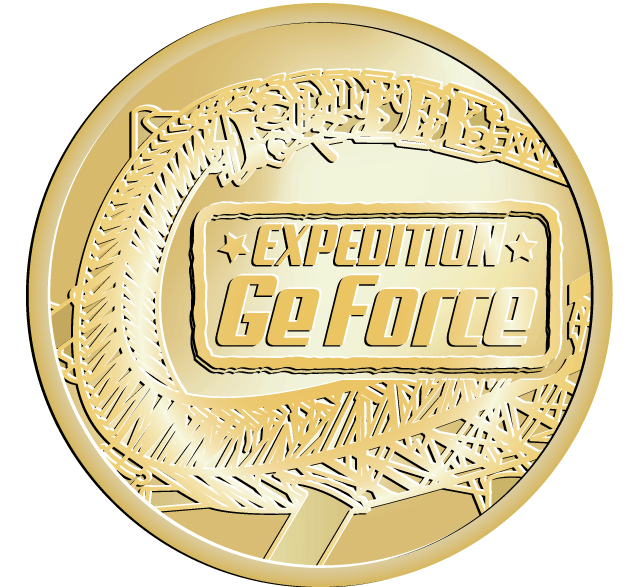 Expedition GeForce is a steel roller coaster located at Holiday Park in Haßloch, Germany. It is one of the largest roller coasters in Europe and has an 82 degree first drop. The trains travel up to 120 kilometres per hour (75 mph) through a course 1.2 kilometres (0.75 mi) long with seven periods of weightlessness. At its highest, the ride reaches 53 metres (174 ft) above ground. Until the opening of Silver Star at Europa Park, it was the tallest roller coaster operating on the European mainland.